As the new medium of collective consciousness, the internet is a place where virtually all information about the world can be found. As a contributor to this collective database, bloggers have a duty to ensure that what they contribute to this collective is useful and educational. This is why I(out of kindness) have decided to teach you how to conduct research for Blog Articles. Some of the tips here sound like no-brainers, but they are important all the same. 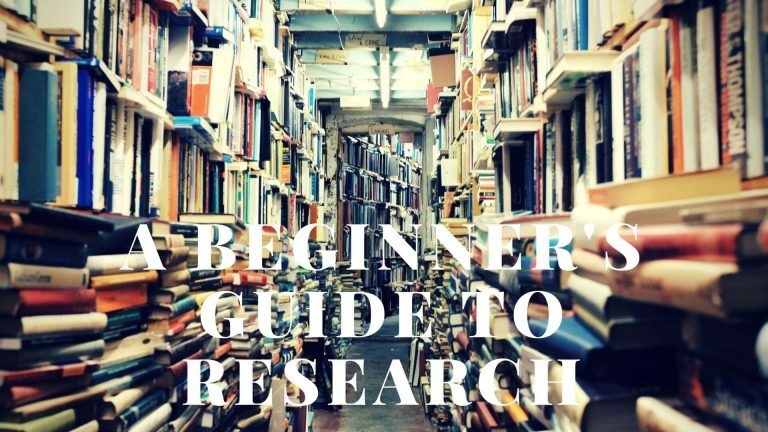 This is the most crucial step in the process of research, because it directly affects the quantity and quality of research needed to produce content. Selecting a niche topic may yield less available information, while selecting a topic that is too broad may also cause your search to be too generic and ultimately, useless. After all, if 100 other people have written on the same topic, it is difficult to contribute to that large swathe of data unless you have updated information or a new insight to bring to the table. This might be ironic considering that I’m writing about a topic which has been covered extensively – how to research for blog posts. In summary, choose a good topic which doesn’t take too long to understand, but isn’t so skimpy that you will have nothing to say about it. Remember that the aim of a content creator is to educate and help others gain information on the collective consciousness of the internet. Google is a wonderful tool for research, but not all sources can be trusted. Fake news, outdated data and extremist webpages may skew information from being as truthful as it could be. This is why source reputability is very important to build credibility and trust in readers. For scientific topics, academic journals, scholarly journals and academic search engines are a good source of information as they have been peer-reviewed and scrutinised by the scientific community. Good online search engines include JStor, Google Scholar and Lexis Nexis. Examples of reputable journals include Nature, British Medical Journal and The Social Science Journal. Researching topics such as government policy and law involves using official sites which contain detailed policy outlines. This ensures that information is accurate and precise. When reporting news or political topics, it is often good practice to use sources which are neutral to provide balanced assessment of the event. Avoid outlets which have been shown to lean heavily to either end of the political spectrum. For most other topics, choose authoritative sites which are established and reputable, as that not only validates your information, if linked, it also provides a slight boost in your SEO rankings due to Google’s algorithm. For instance, informative sites in the SEO industry include Neil Patel and Backlinko, so using their information for research on a topic like backlinking would be extremely valuable for readers. It can be tempting to just search for “designer shoes” or “sports cars” when searching for a niche topic, but it is often better to narrow down the research by focusing on important keywords, key phrases or subtopics, to improve the depth and quality of the information you are reading. For instance, if I were writing about Sports Cars, I might search for the names of several ones that I already know such as “Ferrari 458” or “Subaru Impreza”, or a detailed term like “horsepower of a Lamborghini Aventador” or “Differences between AWD,2WD and RWD”. If I am searching for a topic for which I have zero prior knowledge about, I will start off by researching for a general term, followed by zeroing in on several specific terms once I have understood the basics. Having an inquisitive attitude makes this process a lot easier, as it makes you instinctively want to click on every single link available and gain a deeper understanding of everything the topic encompasses. Plagiarism is something that most content creators frown upon, and for good reason too. Never copy an article or book’s content wholesale, as that is sloppy research and shows that you didn’t bother trying to understand or reinterpret the information that was found. This renders your work a useless carbon copy which just adds to the clutter of the internet. As mentioned earlier, avoid unreliable websites or websites containing outdated information as that is not ideal to improving the current knowledge about the topic. Spreading misinformation is definitely worse than plagiarism as it causes people to go backwards instead of progressing. A good(or bad) example of lack of quality information is Buzzfeed, a notorious website which relies more on clickbait than actual quality content. Now that you have all the information ready, you are ready to write the article! Don’t forget to cite, reference or link the research that you did. Crediting the research shows appreciation for the author of the research, which is a good mindset to adopt. Researching takes time and effort, but it is worthwhile if you can educate your readers and improve on existing knowledge. I hope that this article was helpful in providing a brief outline of how to get good quality research material to produce outstanding articles which improve the collective consciousness of the internet. Ken graduated with a Master’s Degree in Information Systems from Nanyang Technological University, specializing in Human Computer Interaction and Usability Engineering. Beside WordPress development, Ken provides professional SEO consulting services to SMEs and has helped his clients improved their businesses significantly through top page ranking results.